All Aurora Expeditions tours, river cruises, expedition cruises, and adventure trips. Find the best guided trips and expert planned vacation and holiday packages. 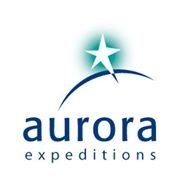 Average rating of 4.6 for all Aurora Expeditions trips. Reach 66° 33’ South or futher! A curious leopard seal cruising amongst spectacular icebergs may mean postponing lunch (ours, not the leopard seal’s). Explore the Chobe Game Reserve - 10,000 square kilometres of elephant, lion, leopard, giraffe, cheetah, buffalo, hippo and some 450 bird species.